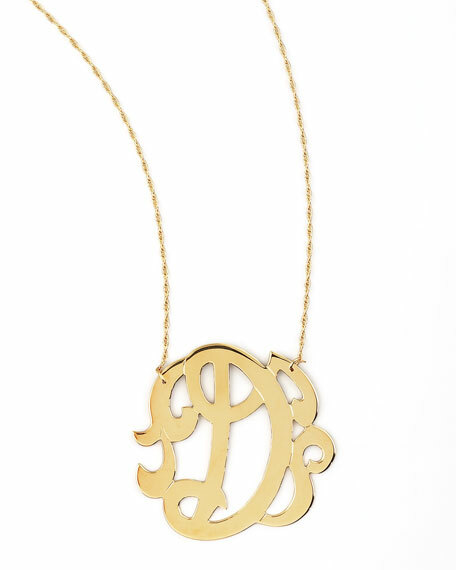 This Jennifer Zeuner necklacecrafted of gleaming gold that spells out your initialis subtle but makes great impact, perfect for becoming your signature piece. 18-karat gold vermeil spells a swirly D.
Twisted cable chain, approx. 16"L.
For in-store inquiries, use sku #213856.